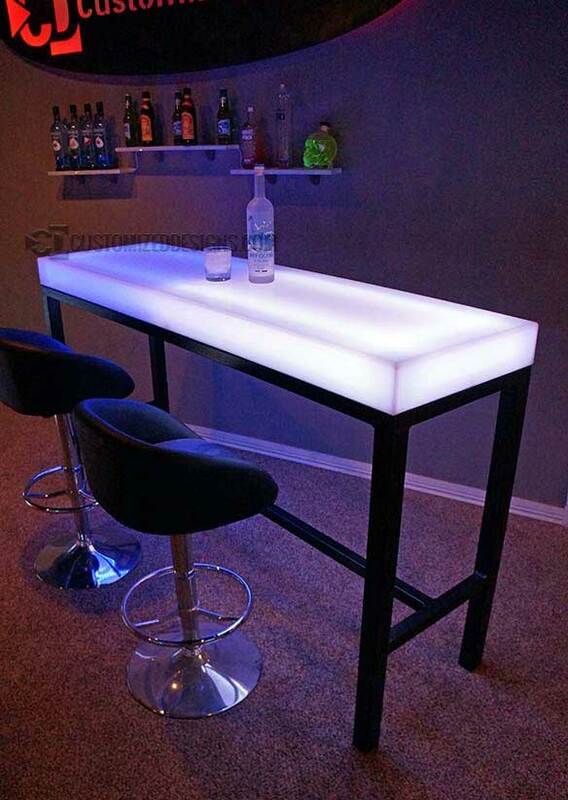 The Aurora series led lighted bar table is the ideal shape to make a great coffee lounge table. 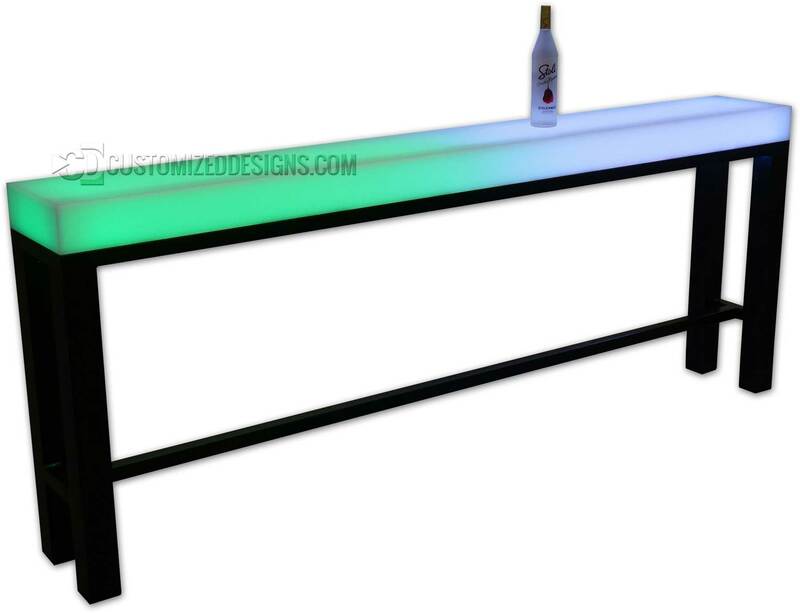 All Aurora series tables consist of a heavy duty powder coated steel frame with a 4″ thick lighted acrylic table top. 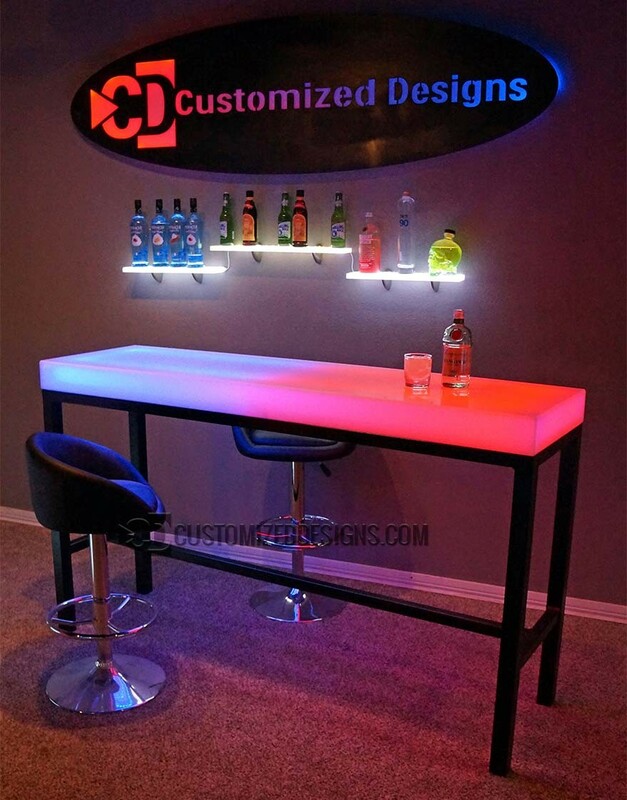 Each table is powder coated with a durable textured semigloss finish. 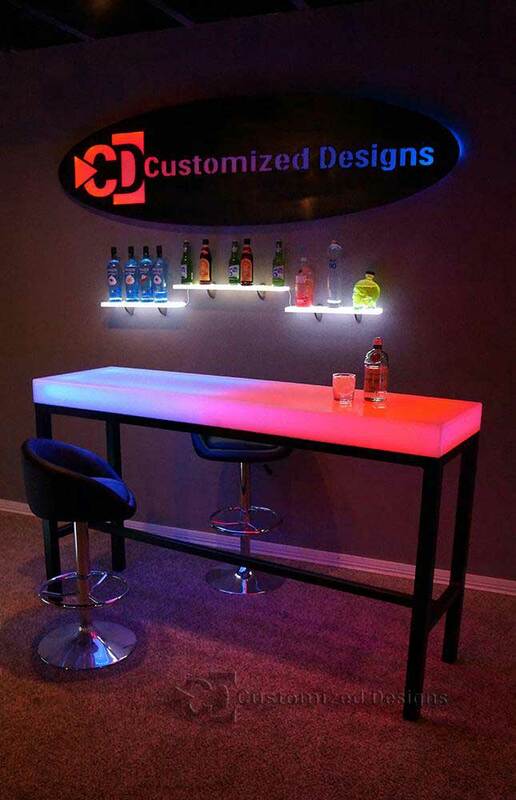 We offer a wide array of powder coating options to give your table a more custom look.